People often ask us about the difference between IOSH and NEBOSH, is one better than the other? which qualification should they go for? and what are IOSH and NEBOSH? Hopefully, this article can shed some light, help you make a decision on the qualification best for you, and give you some helpful advice. So what are IOSH and NEBOSH? Well, they are both similar in the sense that they are awarding organisations that provide syllabuses and criteria for well respected and widely recognised qualifications. Both offer a range of qualifications, aimed at different levels and a range of industries, although NEBOSH does have some more specifically focused industry courses. The main difference between the two is that IOSH is also a membership organisation, the largest health and safety professional membership organisation as it goes. The main difference for you though will be in the qualifications, and you should find the qualification that suits your needs most, which won’t really come down to the awarding body. 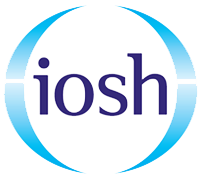 NEBOSH doesn’t offer membership, so if you’re looking to join a membership organisation where you can network, keep up to date with health and safety, and gain advice and expertise then IOSH is probably your best option. It brings with it plenty of benefits but how much you can benefit really depends on your situation and career goals, take a look at this article for some more information, and if you’re interested, get in touch with the team at IOSH. It’s also worth mentioning that, while anyone can become an IOSH member, to get higher levels of membership such as Associate or Technical membership you need to have a health and safety qualification. They accept quite a few different qualifications, and you can find a list here, the NEBOSH National Certificate is one of them, and with 92% of job roles asking for either the NEBOSH qualification, IOSH membership or both, it could be worth using the NEBOSH for your membership. Both organisations offer a range of qualifications, NEBOSH seem to have more because they have qualifications targeted at a National and International level as well as at specific industries. IOSH, however, target qualifications more to the level you are in a business, regardless of industry. IOSH will approve bespoke courses for training providers though, so if you see a course offered by a provider not listed here they may have created it themselves and asked IOSH to approve it. For a full list of qualifications please see end of blog. 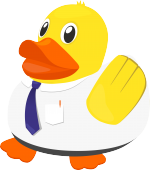 So should I get a NEBOSH or IOSH qualification? The most common qualifications are NEBOSH National General Certificate and IOSH Managing Safely. The popular IOSH Working and IOSH Managing Safely courses are perfect if your main role is not health and safety, they also apply to any industry. Often companies put their staff on these courses to help improve the health and safety culture of their workplace, particularly managers and the Managing Safely course. It’s a great way to give your managers the knowledge they need to keep staff safe, what they are responsible for, and how to make improvements. Without boring them with the information they won’t need as health and safety is not the core part of their role. The Managing Safely is also a great starting point for people looking to start a career in health and safety. As people progress in their careers though, or if they are more confident they progress or go straight to NEBOSH’s most popular course, the National General Certificate. Ideal for those looking to start a career in health and safety, most job descriptions for health and safety roles require IOSH Membership and the NEBOSH National General Certificate qualification, and as mentioned above, the NEBOSH Certificate can help you gain IOSH membership. Hopefully, this helps you feel confident when choosing your next health and safety course, however, if you are still unsure, would like some advice or would like to speak to a course tutor for more information please get in touch. Do you run courses in London. If so what are the dates . I live near Kingscross and St.Pancras. I am interested in the Nebosh Diploma as I work in Construction and eventually want to become a Health and safety Officer. We are about to schedule some courses in London (Limehouse) for Autumn 2018, but that will be the NEBOSH Certificate, not Diploma. We are looking to run the Diploma in the future, and if we do we will let you know. All the best with the transition to health and safety officer, if there’s anything else we can help with please let us know. How to obtain NEBOSH certificate. All you have to do is attend and pass the NEBOSH Certificate course, there is some homework and self-study too but we support you all the way. I’ll ask the team to send over some more information. There aren’t any prerequisites to sit the NEBOSH course so you can go on it as a beginner if you have no health and safety experience though you may find it easier to sit the IOSH Managing Safely course first. If you’re only taking one course and want to become a health and safety officer NEBOSH is probably the way to go, I’d speak to your employer though and see what they suggest. I am Occupational Health and Safety Management graduate (Bachelor degree), i have been working in the field for 5 years now. What would be the best Courses to improve my safety career? As a graduate, your degree is a higher level than both the IOSH Managing Safely and the NEBOSH National General Certificate. I think you’d be best off speaking with your employer, and asking them what they would expect to see from you as you advance. Or, you could look at some potential job advertisements for roles you are looking to go for. I am about to take over the role of Health and Safety Coordinator dealing with sub contractors who work on new build developments. Which course would you suggest for me as a beginner? It’s hard to say without knowing more about your situation, however, a lot of Health and Safety Coordinators we deal with have a NEBOSH National General Certificate. As a rule of thumb if a lot of your role is to do with health and safety the NEBOSH certificate is a great starting point, it teaches you about risk assessments, improving health and safety, and your legal responsibilities as an individual and company. I hope this helps, if you have any questions please let me know. i have done NEBOSH course .. does IOSH also need to study.? You can do both, however, most people would start with the IOSH Managing Safely before the NEBOSH General Certificate. As the IOSH is a level 2 qualification and NEBOSH a level 3. It depends what you need it for, but generally, I’d say you’d be fine with the NEBOSH only. I am working as a Facility Manager, what will be best for me to make my CV more professional. For your role as a Facility Manager, I would advise you to search for various positions as a facility manager from different companies, in order to have an idea of the experience and level of knowledge required for the role. Both IOSH and NEBOSH courses will help further your career within health and safety. An IOSH course helps to increase one’s workplace efficiency, manage risk and resources. A NEBOSH course helps those who already have a career within the health and safety industry, to achieve a professional certification at a high level. Depending on the type of role who would like to attain, it could be either of the two courses which could benefit you. I have a MEng in Naval Architecture & Marine Engineering plus an MBA. I work as a Superintendent Engineer in a Shipping Company (Vessel Manager). I would like to add a Safety dimension to my CV. I was looking for an MSc in Safety Engineering but then I fear I would render myself overqualified. Therefore NEBOSH international Diploma looks promising. Is that suitable for me? I believe the qualifications you attain depend on the career path you would like to pursue. In this case, I would advise you to speak to somebody within your desired career field. You may find an MSc in Safety Engineering may be better suited for you however aforementioned I would seek advise from a professional within this field. If you are seeking to attain a career within health and safety, I would note how a NEBOSH Diploma is a highly respected qualification for aspiring health and safety professionals who want to develop their career within health and safety. Hence the NEBOSH Diploma would most definitely add a safety dimension to your CV as it is classified as a very high qualification with the health and safety industry. I would say the qualification you choose to take should be dependent on the job role your seeking to attain, as you may find a NEBOSH Diploma is more than enough for the health and safety qualification you require. Here at Project Skills Solutions we offer the NEBOSH National General Certificate which you may also find suitable for you. You will receive an email shortly from our customer service team, who will provide you with further details on this course. All of PSS courses are available at our nationwide training centres at competitive rates, which you can book now. I hope I have been able to clarify some of your concerns. I’m working within the railway industry as Safety Critical (Controller of site safety) and I am looking to climb higher and start my career in H&S on both railway and construction… and eventually go for the diploma. Can you advise me between NEBOSH Occupational & NEBOSH Construction… and define which one is higher and must I need either of two to pursue the diploma? Also, is IOSH Managing safety a good course to enter IOSH? 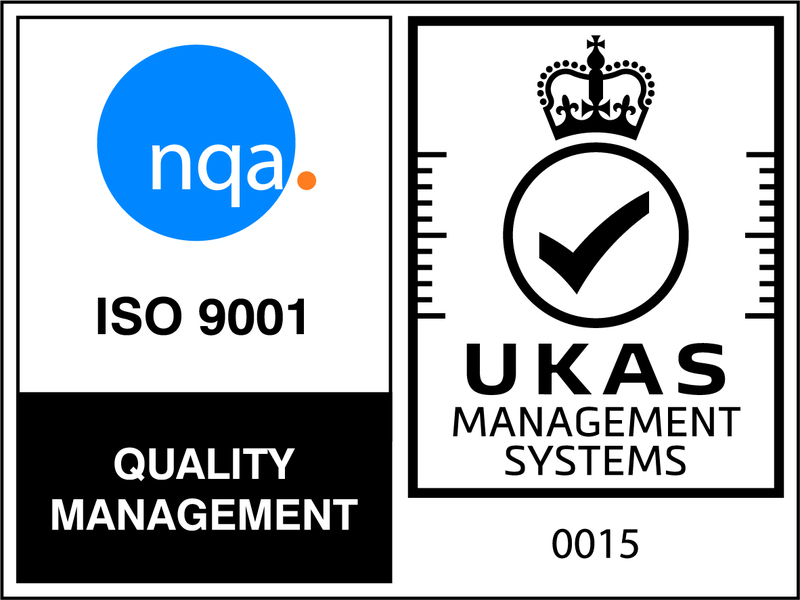 Thanks for commenting, NEBOSH General Certificate in Occupational Health and Safety, and in Construction are both Certificates. So the same level. You do not have to achieve the certificate before you take the diploma, some people go straight into the diploma and are successful. 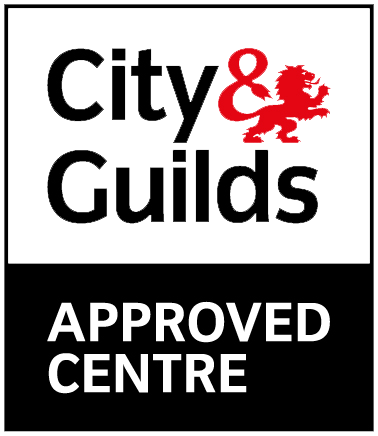 However, a lot of people find it helpful to take the certificate first it’s down to personal preference, if you don’t have much experience in H&S then I’d suggest doing the certificate first. Lastly, the IOSH Managing Safely is a very popular course, however, it doesn’t provide a route to IOSH membership. For that, you will need to take a level 3 qualification, NEBOSH certificate is a very common path to IOSH membership. You can read more about that on our IOSH Membership blog. I hope that helps, if you need anything else please let me know. Thank you for your comment. The International Diploma in Occupational Safety and Health is a prestigious degree-level qualification for health and safety professionals, covering international standards and ideal for people operating in work environments outside the UK or in multinational organisations. The course is for a duration of six 1-week blocks. The NEBOSH National Diploma is considered as the ‘Gold Standard’ in health and safety qualifications. The diploma is valued by employers and is an essential qualification for those seeking a senior position in health and safety management. The course is followed by three, 3 hour written examinations and an 8,000 word work-based project. Both the International Diploma and the NEBOSH National Diploma are high level qualifications. However here at Project Skills Solutions we offer the NEBOSH National General Certificate, which is a qualification aimed for those working in health and safety and seeking to develop a career in safety management. The course will provide you with a broad understanding of key health and safety issues. For further details on the NEBOSH National General Certificate click here. The NEBOSH International Diploma in Occupational Health and Safety is a highly respected academic qualification designed to help health and safety professionals develop strategy, raise standards to improve safety and drive change in their organisation. The NEBOSH International Diploma builds on the training module taught in the NEBOSH International General Certificate and the diploma requires a total of 466 study hours, which is broken into ‘taught hours’ and ‘private study’ hours. The ISO 45001 Lead Auditor Training course teaches delegates the fundamental auditing principles and practices, in conformance with national and international accepted norms and regulations relating to OH&S requirements. The course is for a duration of five days. In regards to your query, please note the NEBOSH International Diploma is a suitable for those seeking a career within health and safety management, whereas the ISO 450001 Lead Auditor course is for those seeking to learn how to manage a ISO 450001 system. I would say the H&S and ISO 450001 Lead Auditor course is supplementary to the NEBOSH International Diploma course, as it will give delegates a solid knowledge of health and safety. As a result, the course/s you choose to take should be based on the career path you are seeking to attain. In addition, please visit the official NEBOSH website by clicking here and the official ISO website by clicking here where you’ll be able to find further information on the courses. I have done bachlors in Electrical Engg. and someone told me to have a NEBOSH certificate. As far as i have heard NEBOSH will make sure that i get a job in UAE. Should i go for NEBOSH or is my qualification already heavier than NEBOSH? Thank you for your comment. Please note a bachelor’s degree is a significantly higher level qualification in comparison to a NEBOSH qualification. It is important to understand there are a few variations of a NEBOSH qualification including a NEBOSH certificate and diploma. The NEBOSH certificate is a crucial step towards establishing a lifelong professional career in occupational health and safety. Whereas the NEBOSH Diploma is a much more intense course covering the practical skills essential to health and safety professionals, whilst assessing a student’s ability to apply their skills and knowledge and deliver positive change throughout the workplace. Electrical engineering is the design, building and maintenance of electrical control systems, machinery and equipment. Although an electrical engineering degree does not focus on health and safety, attaining a NEBOSH qualification will help increase your awareness of health and safety within a workplace. If you are seeking a career within health and safety I would advise for you to take a NEBOSH course and depending on the type of role would determine whether a NEBOSH certificate or diploma is more suitable. In addition I would advise you to carry out some research on what qualifications are needed for a job before applying, as this may help you decide whether you would require a NEBOSH course or your Bachelors in Electrical Engineering is enough.